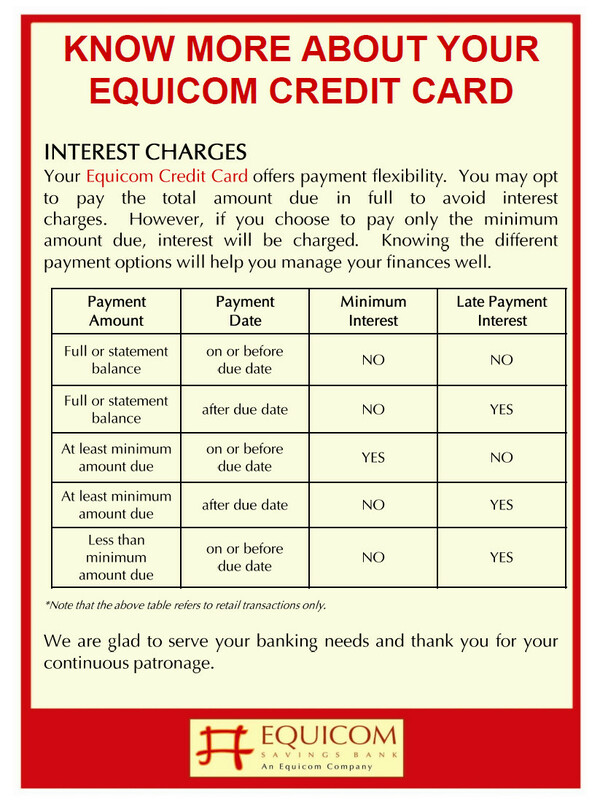 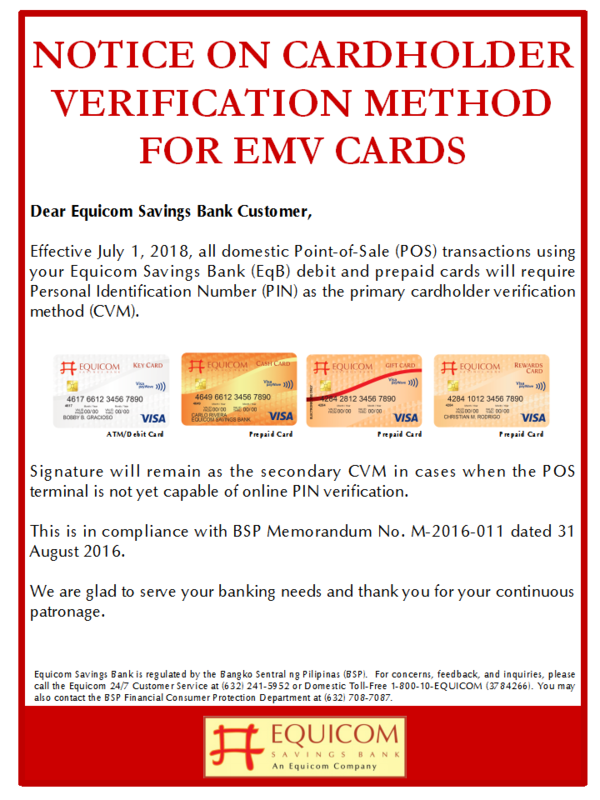 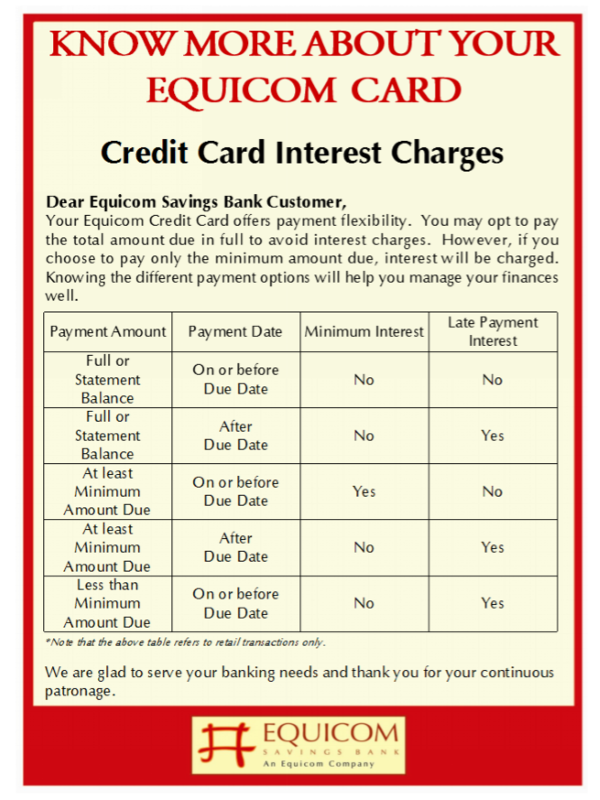 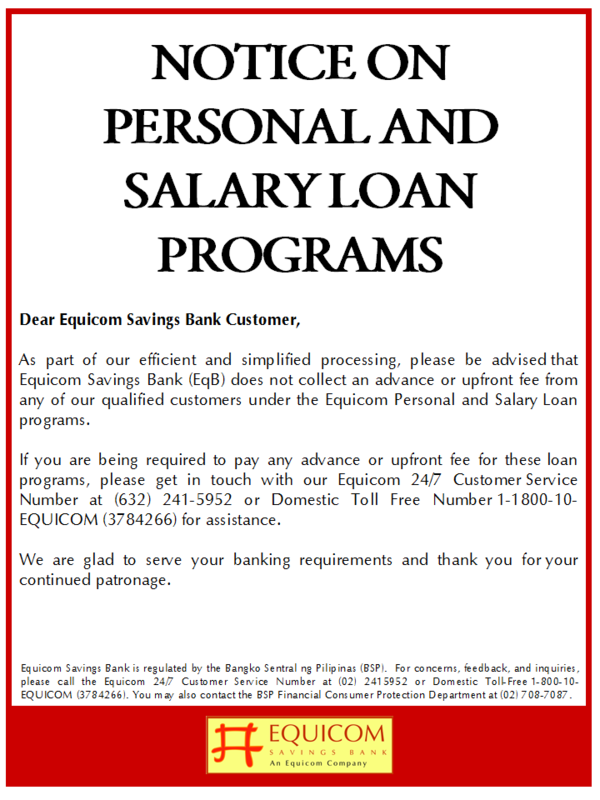 Equicom Savings Bank (EqB) has announced that selected EqB branches will be open during the Christmas holidays to provide regular banking and financial services to its depositors and clients. 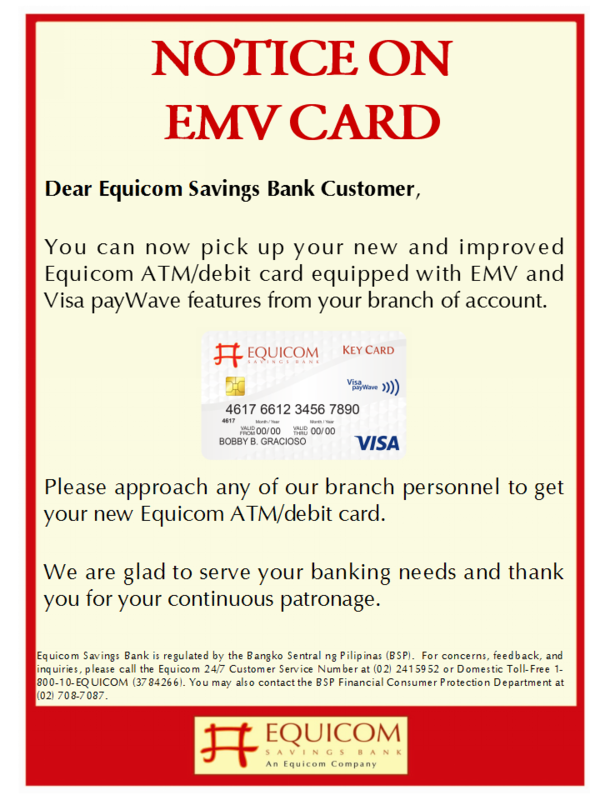 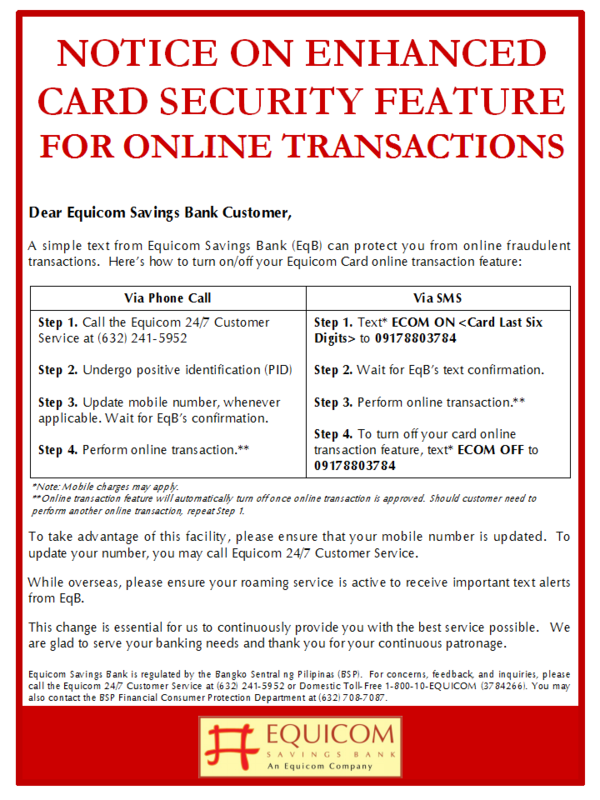 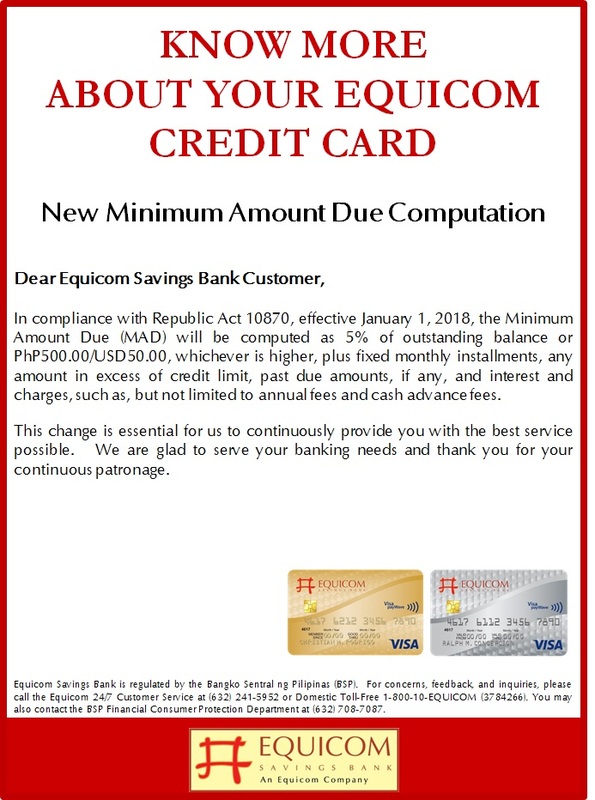 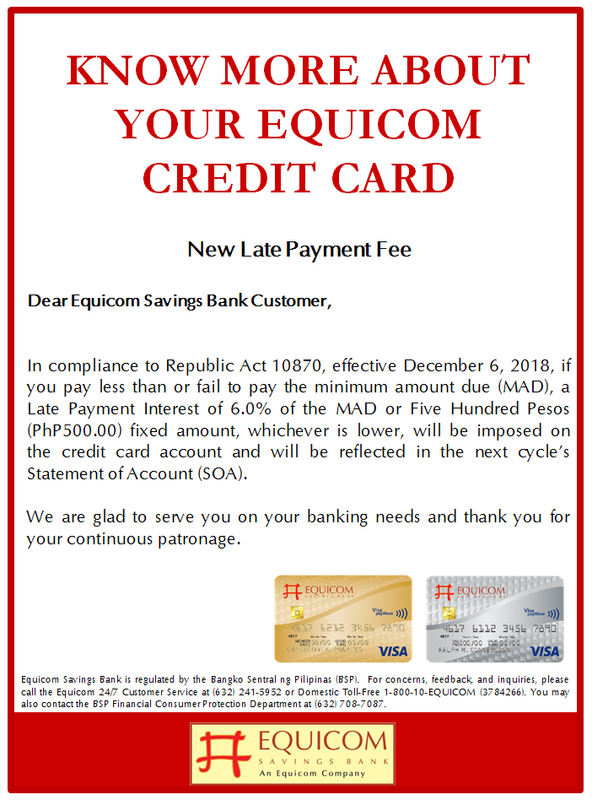 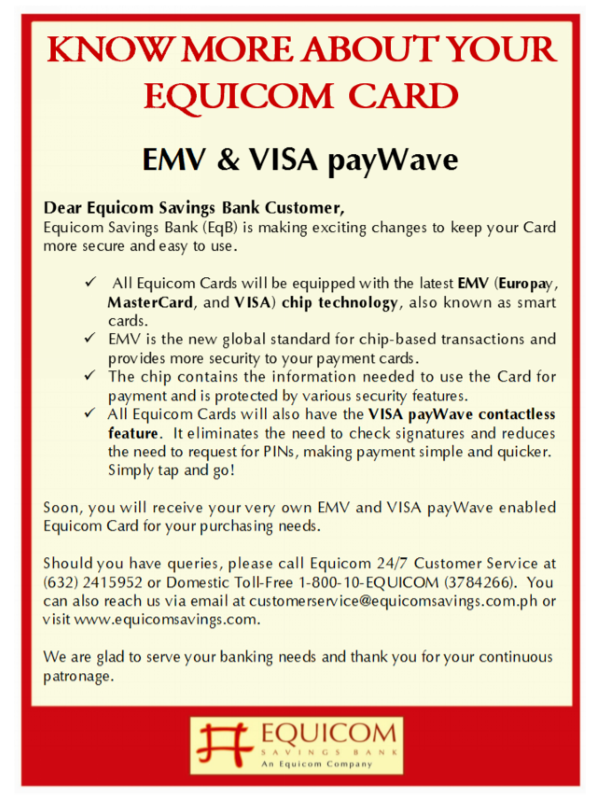 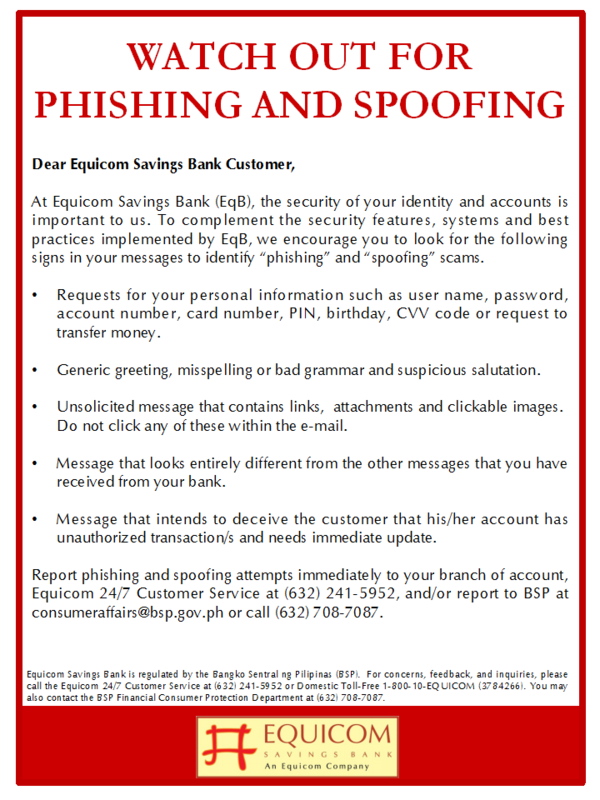 According to the announcement, Equicom Savings Bank has decided to open selected branches and conduct regular banking transactions such as basic deposit, withdrawal and loan services to meet the requirements of its growing depositor base during the extended Christmas and New Year’s holiday break. 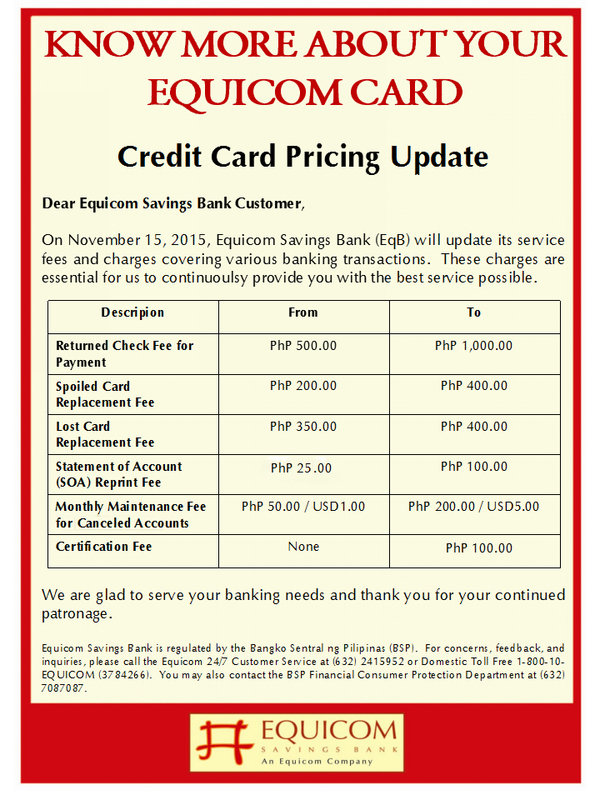 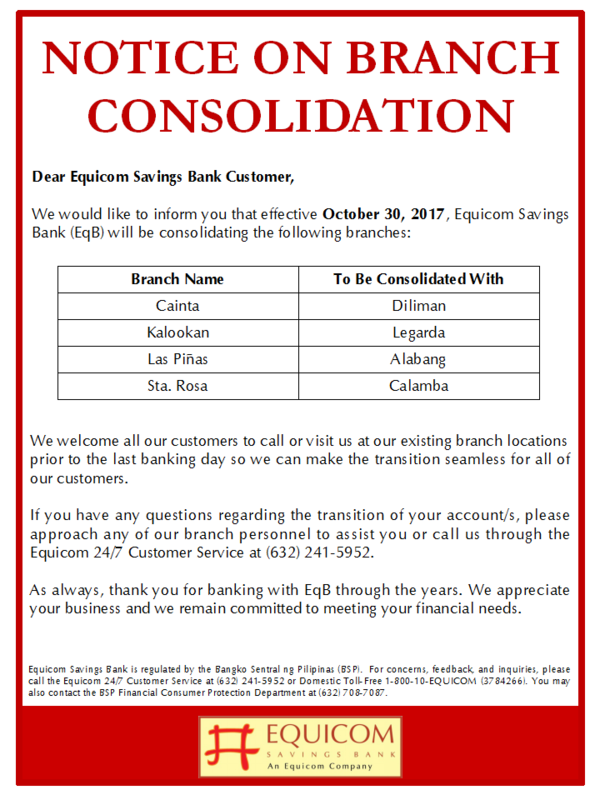 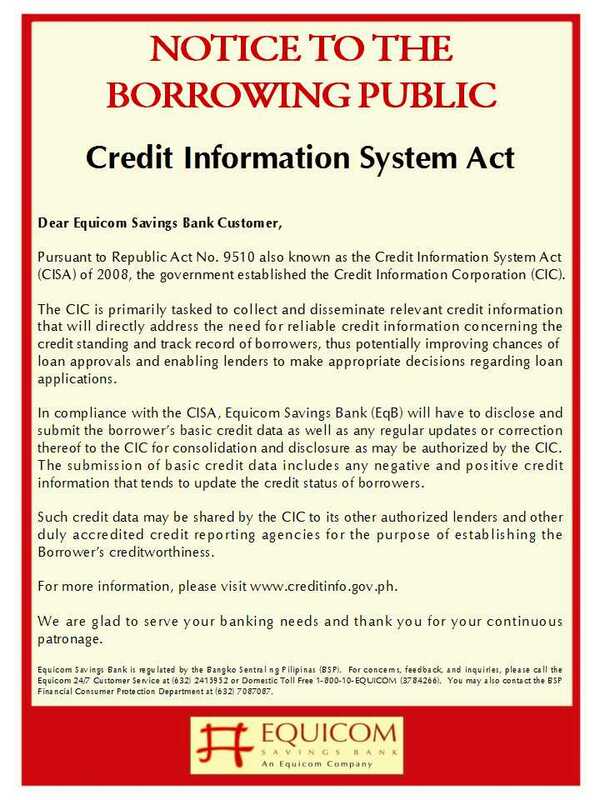 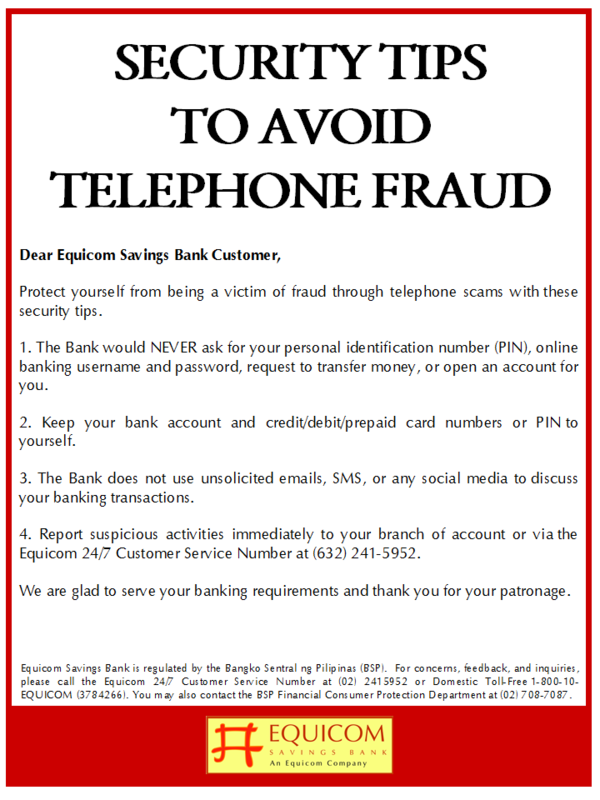 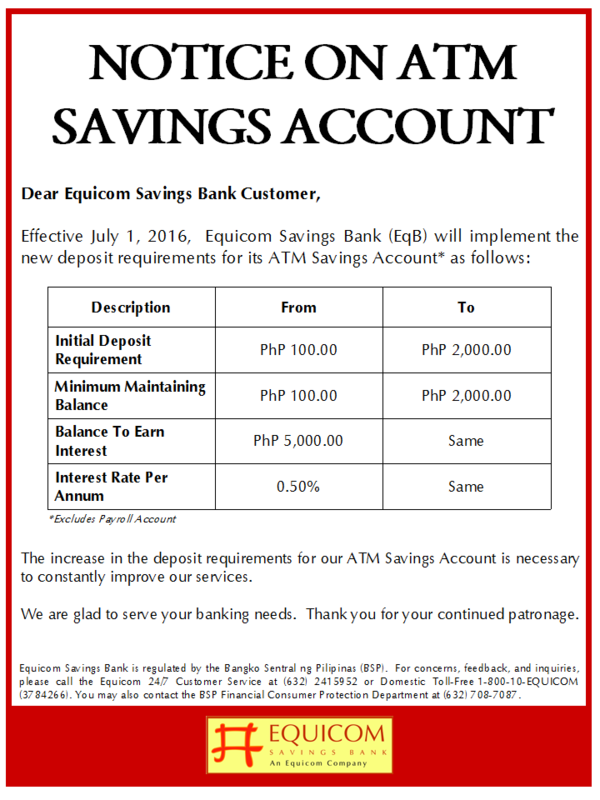 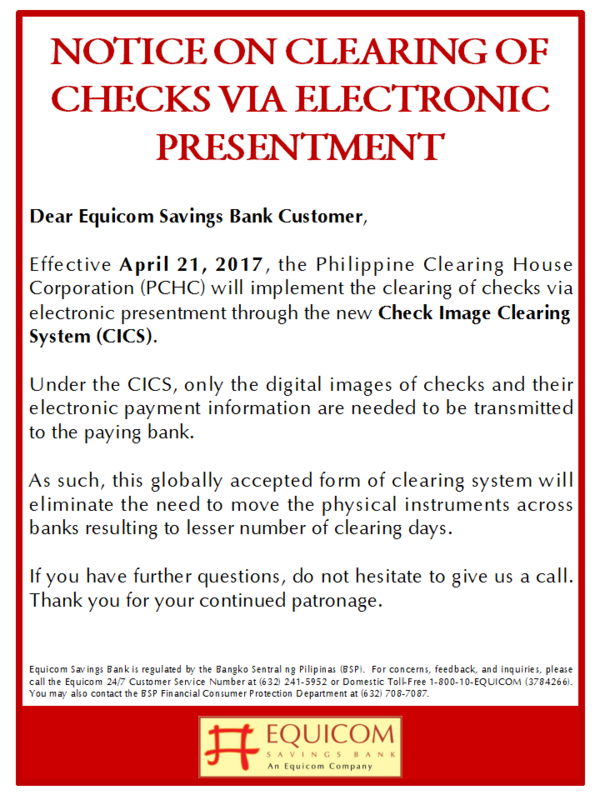 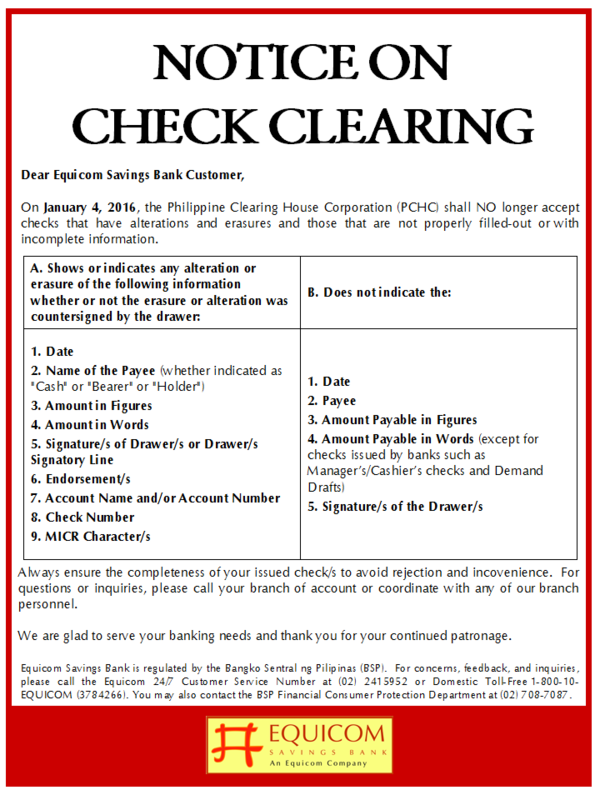 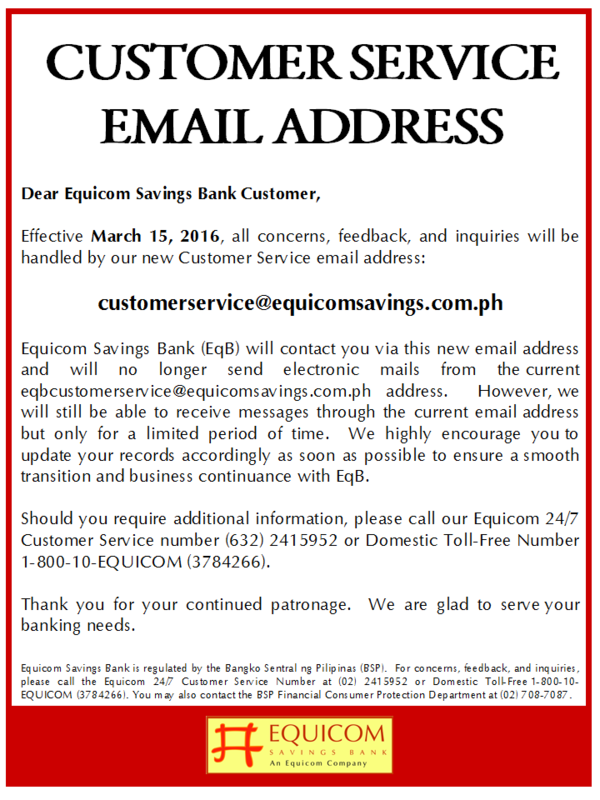 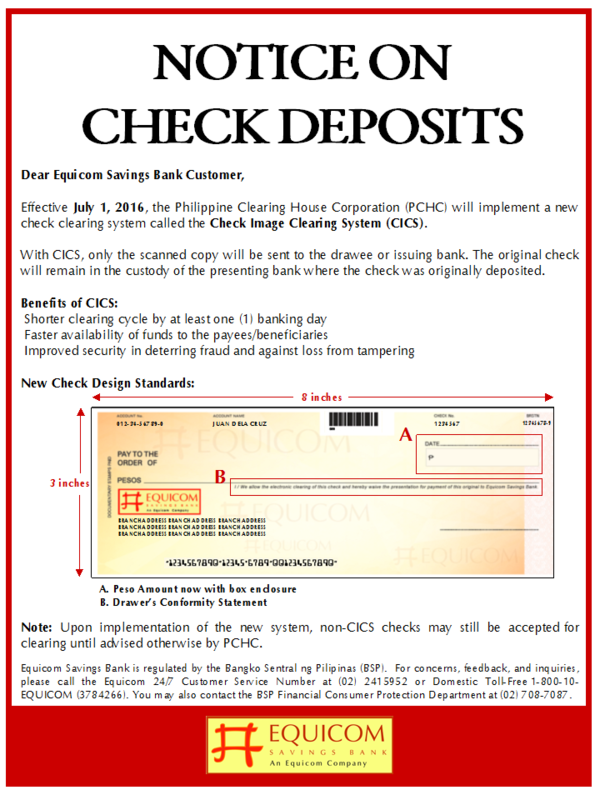 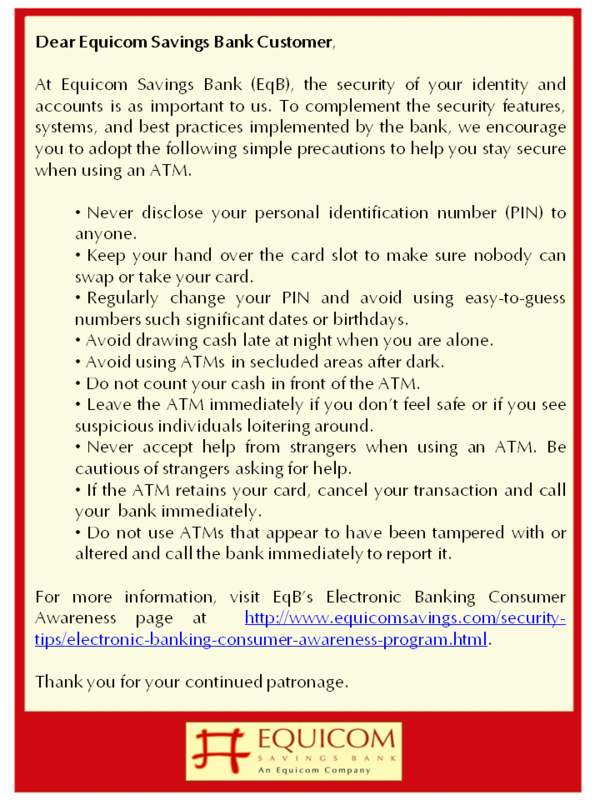 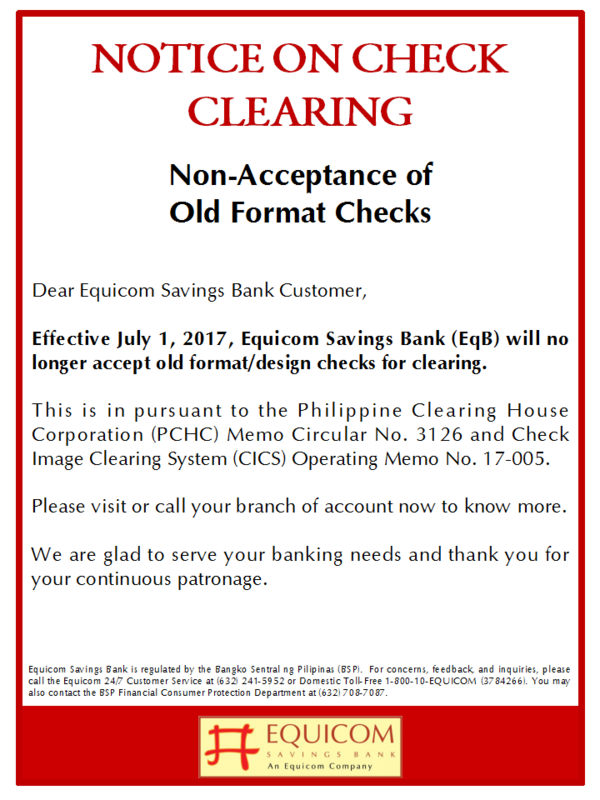 Regular banking operations of the bank will resume on January 4, 2010.